Hamid’s friends were nice enough to let me spend a Friday afternoon learning how to make naan at their bread bakery in Kabul, Afghanistan. Naan, the Afghan way, simply cannot be compared to other styles I have tasted. The bread I helped make looked a bit different from the professionals but it did taste great. Even though the outside temperature was about 30 degrees, the shop was easily 80 degrees inside. The ventilation was minimal, and after a few minutes inhaling smoke in that hot box , it definitely hurts your lungs. This job would be very difficult in the summer, when the air quality in Kabul is at its worst and the hot, dry, days blow dust everywhere. First mix the dough from flour, yeast, and water (this shop uses an old bathtub to mix the dough). Next form balls from the raised dough and pat them into circles about the size of a dinner plate. Then throw the dough down the loft to the next station. Trace your fingers through the circles to form lines all the way across. Take a hair comb and poke holes along the lines made by your fingers. Toss it to the next station where the bread will be stretched on a stuffed sack. Slap the bread onto the wall of the tandoor oven. Let it sit about five minutes and take it out with a sharp rod. Then toss the finished piece into the window for people to walk up and order. 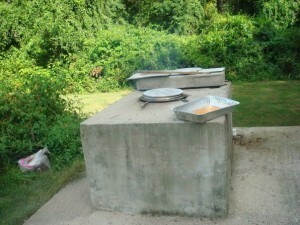 A friend of mine in Maryland built a scaled down version of the “commercial” tandoor oven in her backyard. I would love to make one of these ovens and serve fresh naan, just have to check the building codes. Here’s a short video from the bakery—beware, motion sickness may occur. 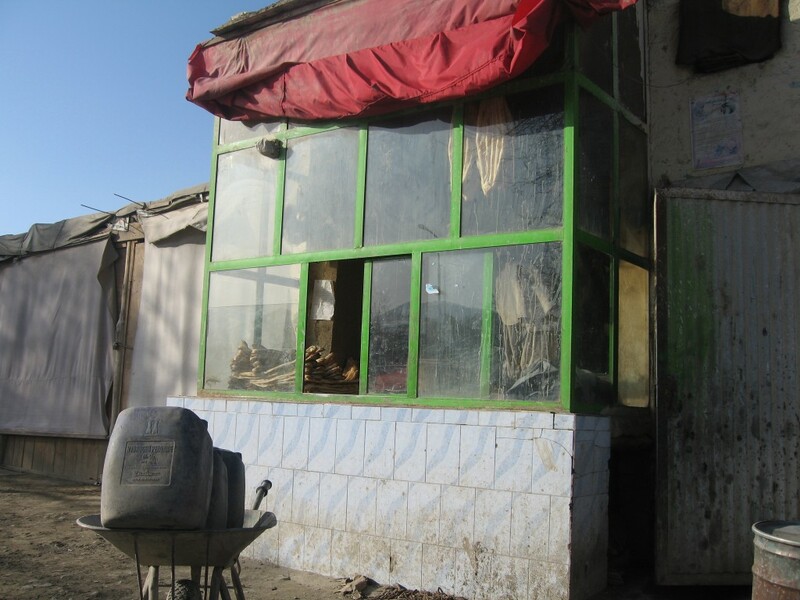 Do you recommend Naan, Afghan Style? Make your voice heard!